New Owners Take Over Great Harvest Bread Co.
Great Harvest Bread, a bakery and café at 382 Pine Street in Burlington, will be sold on July 31, said co-owner Sara Brown, who announced the sale last week on Facebook. The business is a franchise of the Montana-based company of the same name. Brown started it with her husband, Ethan Brown, 15 years ago, before the neighborhood emerged as a food hub. The couple have been hands-on owners ever since. 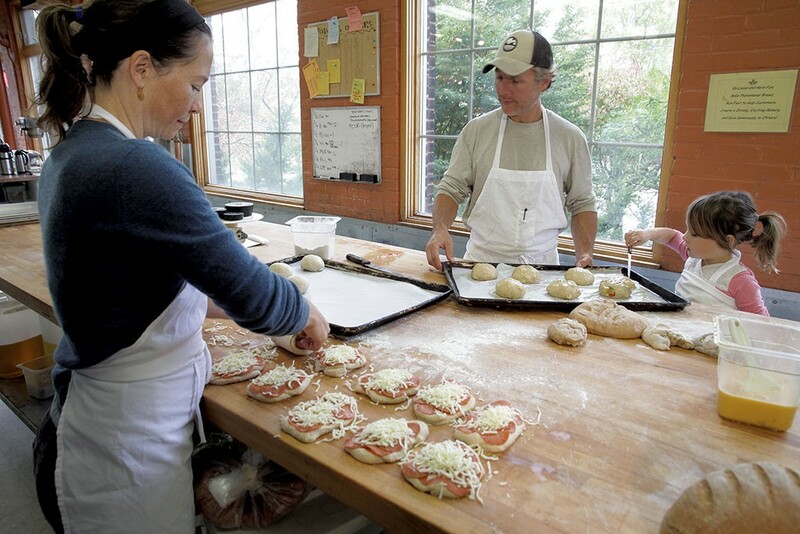 Ethan milled whole-wheat flour, baked bread and served customers. Sara managed the business and its employees, made soup for the café in her nearby home kitchen (equipped with a caterer's license), and tended the hillside garden she planted in front of the bakery as Great Harvest put down roots in the South End. The new owners are married couple Chris Brown and Joanne Casale. The bakery will be open and running the day after the sale, Sara said, and "it will be all the same people [working] here, minus me." Chris Brown, no relation to Sara and Ethan, is a seventh-generation Vermonter who has worked at Keurig Green Mountain. Joanne is from upstate New York, where her family owned an Italian restaurant, according to Sara. Ethan has started a new job as regional field representative for Great Harvest, serving as a liaison between bakery owners and the company. (The current owners met at a Great Harvest bakery in Missoula, Mont.) A high school science teacher before she and Ethan started their business, Sara said she'd like to return to a career in education. "I have been first and foremost an employer," she said. "I would love to continue working with young people." She and Ethan have three children, ages 13 to 7. Sara jokes that, after the bakery is sold, she will take the maternity leave she never had. And she imagines keeping a hands-on connection with the bakery. "I love that garden," she said. "I think I'll probably continue to tend to it." The original print version of this article was headlined "Harvest Yield"
Tags: Food News, Burlington, Chris Brown, Joanne Casale, Great Harvest Bread Co.